The Supreme Court on Friday issued notice on a fresh petition by Congress leader Tehseen Poonawalla challenging the Constitutional (103rd Amendment) Act of 2019 which introduced the 10% EWS (Economically-Weaker Sections) quota. 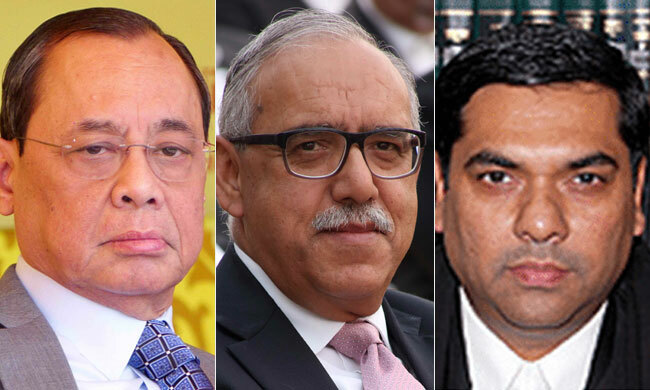 While the bench headed by Chief Justice Ranjan Gogoi clarified that it was not staying the amendment in the interim, the court agreed to consider the issue for an early hearing, clubbing new PIL with the ones filed earlier by Advocates Reepak Kansal and Pawan and the NGO Youth for Equality. The challenge has been mounted on the ground that the amendment abrogates the basic structure of the Constitution by allowing reservation in excess of the 50% ceiling imposed in the 1993 Indira Sawhney case. Considering that so far 27 percent quota is allotted to the OBCs and another 22 per cent to the SC/STs on account of their social and educational backwardness, with this additional quota of 10% on grounds of economic backwardness, the total reservation shoots up to approximately 60 percent. Further, in the light of the nine-judge bench decision, it has been averred that the reservation under the Constitutional scheme is prescribed only on the basis of social and educational backwardness and not for 'Economically Weaker Sections(EWS)'. The amendment is also termed unsustainable as it confines the benefit of economic reservation only to general category candidates. Besides, it is contended that the amendment stands contrary to the SC judgments in the TMA Pai and PA Inamdar cases, as it imposed reservation in private unaided educational institutions. On January 19, the DoPT issued an Office Memorandum making the EWS quota effective for all direct recruitment vacancies in central government posts and services notified after February 1, 2019.